Story by Ja’Kiya Young. Photos by Sean Beach. 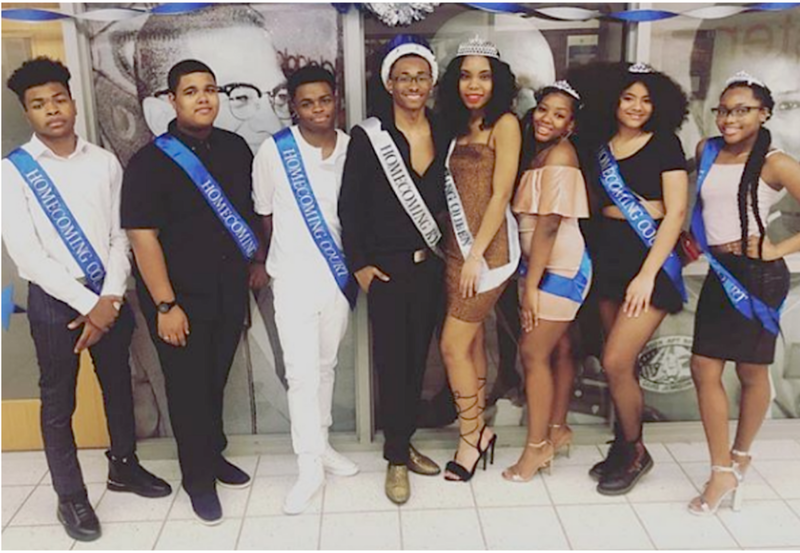 JAN. 24, 2019: As we ended Quarter Two, we celebrated our homecoming and spirit week, a homecoming basketball game as well as the dance. 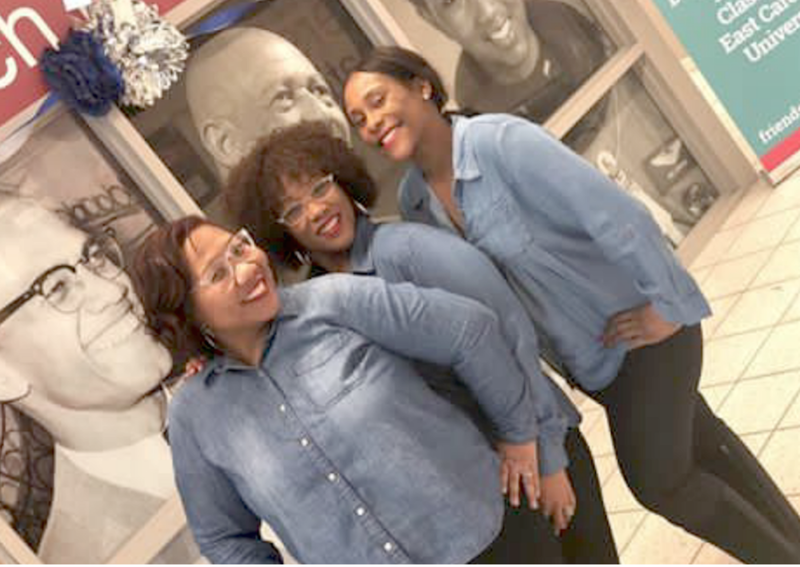 Each day last week starting on Tuesday, January 15, 2019 we had different events for our scholars to show their homecoming spirit. Tuesday was Pajama Day. Students were allowed to wear pajamas to school and be comfortable throughout the entire day. 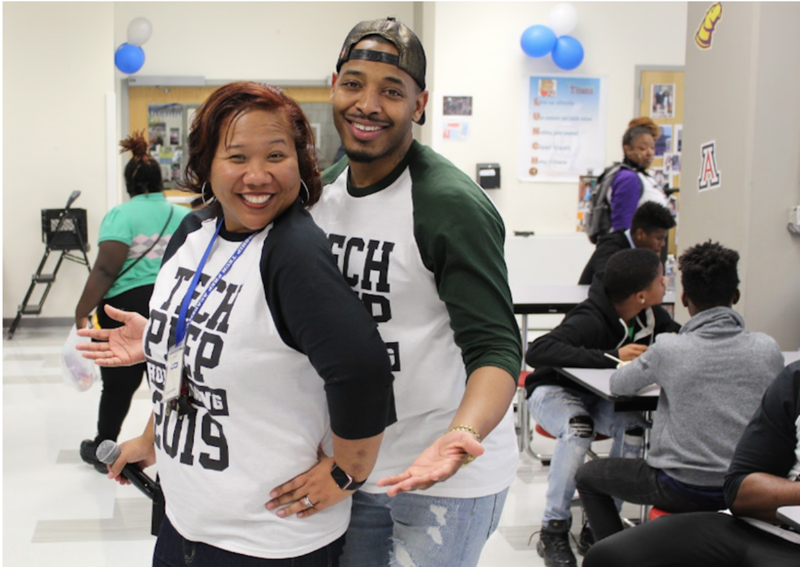 After school, we had an amazing fashion show hosted by Sean Beach that included Tech Prep dancers, rappers, and a special modeling group called the Premier Models. Wednesday was Twin Day. Scholars dressed alike. 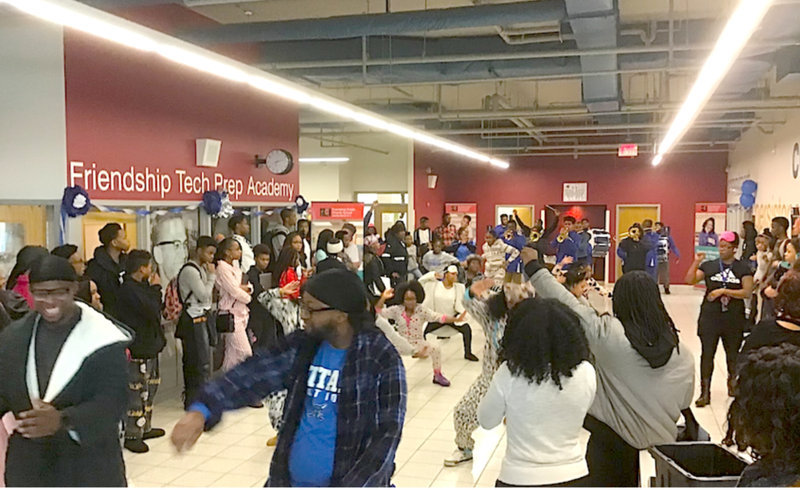 At lunch, we had Wild N Out Wednesday, a lip sync battle and talent show 6:30 from 8:30 p.m. The class of 2020 performed an outstanding first place scene of High School Musical. Our dean of students, Ms. Chantel Williams, and senior Destiny Wright performed as Ciara winning second place. Lastly, our ELA instructional specialist Ms. Celica Robinson performed as Mary J. Blige to win third place. Thursday was the class shirt day and scholars in each class wore their class colors. The classes of 2023 and 2024 wore black, the class of 2022 wore green, the class of 2021 wore purple, the class of 2020 wore blue, and the class of 2019 wore red. We had a pep rally full of school spirit and excitement from everyone hosted by WKYS and DTLR with a special appearance by the BSU golden girls. We also had our homecoming basketball game against Somerset Prep which our Varsity Boys won!! Friday was Drip or Drown Day. Scholars had to wear the most fly outfit and look awesome. But the outstanding finale to our homecoming week was a masquerade ball. All of our high school scholars who came out had an amazing time. This was definitely the BEST homecoming yet at Tech Prep. We can’t wait until next year to see it become even better. JaKiya Young is a 9th grade scholar and Sean Beach is a 10th grade scholar at Friendship Tech Prep Academy.